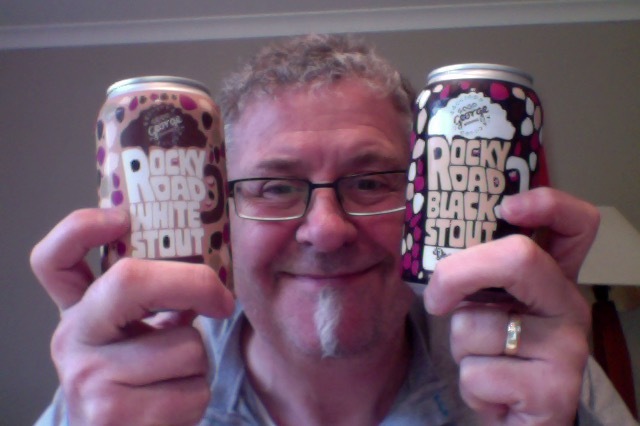 Good George Rocky Road Stout, the dark one. I just had the white one. In for a penny. This is in 330ml can, 5% ABV and 150 calories a serve size, this is 1.3 standard drink units of beer. There is a reason Rocky Road is always the first thing to disappear at birthday parties. Chocolate, Vanilla, Raspberry – it’s all the world’s greatest flavours in one Godly mashup. The only way you could possibly improve it is by adding beer as well. And that’s what we’ve done in this outrageous collaboration with Hamilton Choc-Heroes Donovans. We’ve brewed two versions – White Stout & Black Stout. Try them both and you’ll be partying like it’s your birthday. Chocolate is the aroma I get on opening this one. In the glass, dark black with a smallish dark head, and an aroma of raspberries. Fuller richer mouthfeel, sweet sweetness and a dry finish. There is no confusion about the stoutness of this beer, from the aroma and mouthfeel it is altogether better, almost black and white. The Raspberry thing and the vanilla are still there but better balanced against that darker coffee/chocolate that this carries. It isn’t a perfect beer by a long way though, I think that this might be reflected in the lower ABV that this carries, you have to make a compromise somewhere I suppose. As a thing though this is quite pleasant, unusual enough and in a way that is worthy of a conversation. At the end though a can is enough and anymore might be harder work as it is rather sweet and the tartness is also a bit a chore as they don’t seem to work together too well. The pdubyah-o-meter rates this as 7 of its things from the thing. A solid good beer this, I’ve enjoyed drinking it, the aroma in the glass is pleasing as you take a sup and there is that prickling of the raspberry and the finish dryness that take you along with it. Where did I get it? All the good places have it. Am I enjoying it? I am, but it is rather sweet and it’s about as much enjoyment as you need. Would I have another? Not sure. Would I share with a friend on a porch and set the world to rights? I don’t know if there is anything other than shock value in this to make it something to put a friendship to the test on. 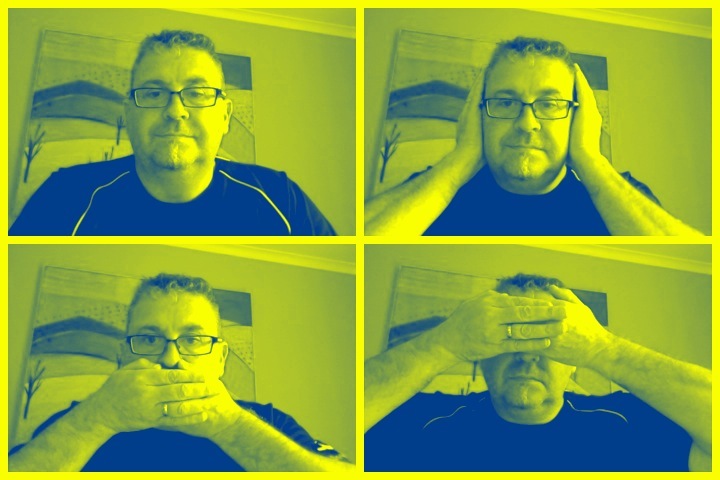 I think that it’s odd enough to be distracting and ultimately a bit disappointing really. Dark brown to black in colour. Sweet stouts come in three main varieties – milk stout, oatmeal stout, and foreign stout. Milk stouts are made with the addition of lactose, and are sweet, low-alcohol brews. Oatmeal lends a smooth fullness of body to stouts, while foreign stouts are stronger (6.5-8% abv) and have a sweet malt profile and high esters. All of the sweet stouts are noted for their restrained roastiness in comparison with other stouts, and low hop levels. 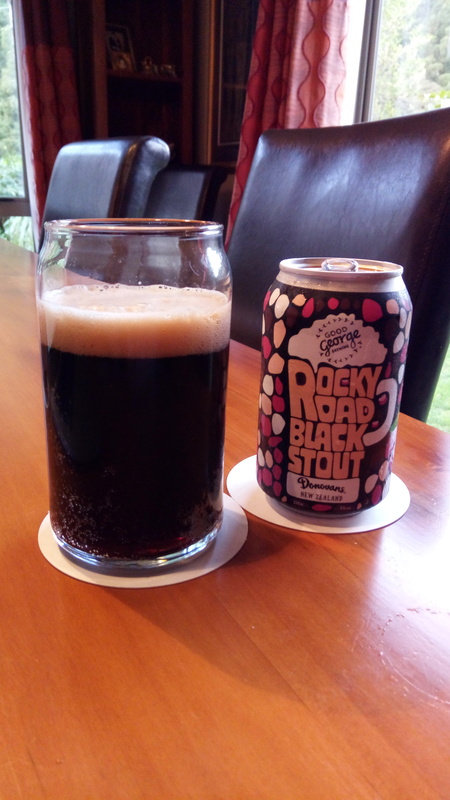 This entry was posted on September 17, 2016 by Philip Walter in Beer, Beer of New Zealand, Beer Review, Craft Beer, Critic, Good George, Justsaying, Sweet Stout and tagged Alcohol by volume, Beer, craft beer, Good George, good George Rocky road dark stout, Good George Rocky Road White Stout, Stout.